The E Series EC15 Bass Combo Amplifier from Eden provides 180W of power through an Eden designed 15" whizzer speaker housed in a ported cabinet. It can be used for several applications such as small venues, rehearsals, recording studios, home practice, and more. 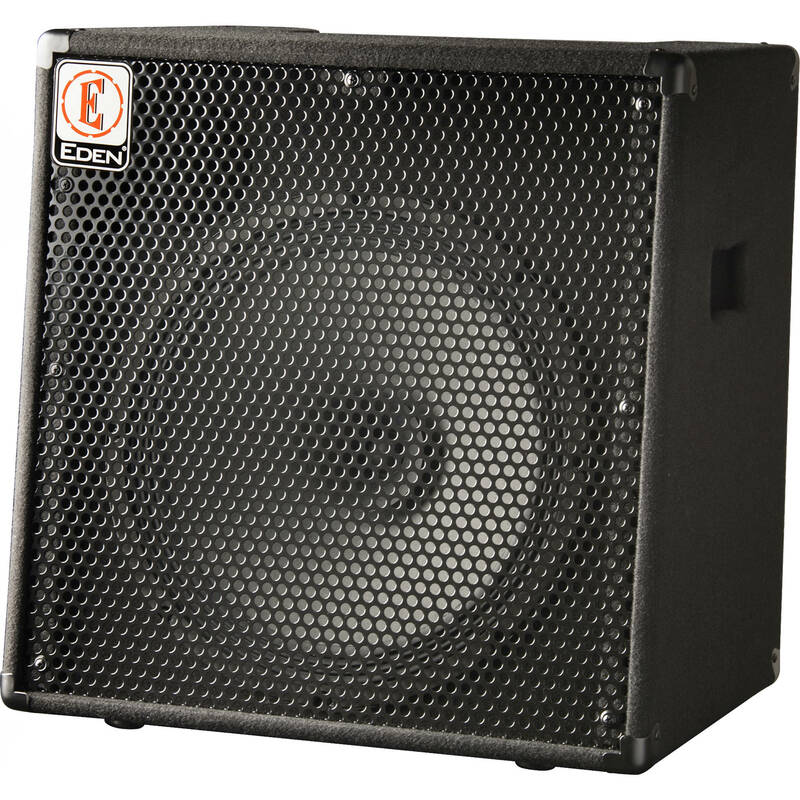 The EC15's single instrument input has a 4-stage equalizer with bass, mid, mid-sweep, and treble controls on the top panel, and it features master and gain adjustment knobs along with compressor and enhanced tone adjustments to boost the very low bass. In addition, there is an external speaker output, a 1/4" tuner out, and an XLR recording out jack for connecting to mixers and recorders. Speaker Through/Output 1 x 1/4"
Box Dimensions (LxWxH) 24.5 x 24.0 x 18.2"